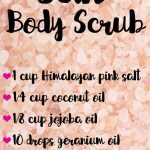 10 Exciting Essential Oil Bath Recipes | Bath Oils, Salts, Bombs & Blends - beautymunsta - free natural beauty hacks and more! 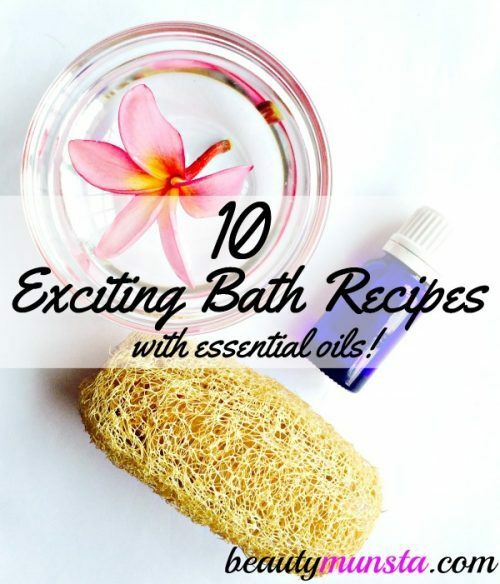 Find out 10 exciting essential oil bath recipes in this post! 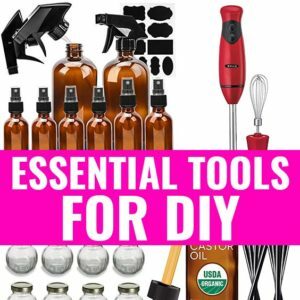 You’ll see recipes for bath oils, bath salts, bath bombs & bath blends! Soaking in a bath doesn’t have to a boring or once-in-a-while thing. In fact, with these exciting essential oil bath recipes below, your bath time can be a great way to calm frayed nerves at the end of the day or heighten and uplift your mood for an energetic day ahead! From healing lavender bath bags to citrusy bubble baths, learn how to make your own natural bath products with these 10 essential oil bath recipes! In one or two large ball mason jars, add 1 cup each of Himalayan pink salt, dead sea salt and Epsom salt grains. Stir in 4 tsp of fractionated coconut oil, 15 drops of clary sage essential oil and 15 drops of lemongrass essential oil. To use, add ¼ to ½ a cup of bath salts to running bath water. Mix well and allow the salt grains to disperse and dissolve before hopping in. Enjoy soaking in the detox bath for 25 to 30 minutes to purify your skin and revitalize your whole system. In an amber glass bottle, mix 2 ounces of jojoba oil, 10 drops of lavender essential oil and 10 drops of geranium essential oil. To use, add just 5 ml of the bath oil to your warm bath water, stir well and have a long soak for supple skin. Combine 10 oz of baking soda and 4 oz of citric acid in a bowl until well mixed. Add ¼ tsp green food color and mix until you have a consistent color all throughout the mixture. Now add the ‘forest fairies’ essential oil perfume blend for your bath bomb: 10 drops rosemary, 7 drops sweet orange, 4 drops cedarwood, 8 drops peppermint. Quickly mix until well combined. The next step is to spray water into the mixture while mixing to try to form ‘dough’. Add in just enough water while squeezing and shaping to form a ball. Don’t get it too damp but just enough to hold together. Press into molds or muffin tins. You could use a leaf shaped mold or even just an ice cube tray. Leave it to harden in the molds for about 30-60 minutes, then remove and let them dry in the open. Combine all ingredients in an amber glass bottle. Add a tbsp to bathwater, stir and soak. In a bowl, mix all your ingredients. Then cut an 8×8 inch of cheesecloth and place all your ingredients. Tie two ends of the cheese cloth together to create a bag. Hang this bath bag over your bath faucet so that the hot water pours over the bag and turns the water milky. You can also just leave the bath bag in the bath and squeeze it when you’re getting in– the water will get milky all the same. Enjoy a soothing and calming bath to heal inflamed skin including weeping/ dry eczema and itchy psoriasis patches. Combine above ingredients in an amber glass bottle. 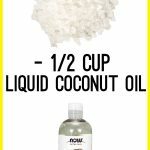 Add just a tbsp of this bath oil into your warm bath, stir well and get in. Add the dry ingredients in a bowl and mix well using clean fingers. Next, add the essential oils and stir. 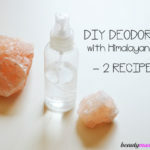 Don’t worry if it fizzes – this is just the essential oils reacting with the baking soda and citric acid. Gently add the carrier oil while mixing the ingredients. By this time, your mixture should be clumping together into an oval shape when you press it between your fingers. Spritz the rose hydrosol a little at a time to combine the ingredients into a ball. Press the ball into molds. Let them dry for a day or two before using. Mix above ingredients in an amber glass bottle. 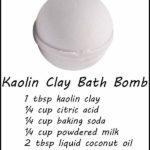 Add a tbsp of this blend into your warm bath, stir well and get in. Add all the ingredients into a large ball mason jar. Gently mix with a chopstick then shake the bottle. Don’t shake a lot or it’ll get too bubbly and not work. Add a little of this mixture to your running bath. Combine the above ingredients. 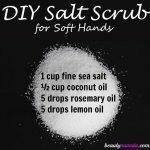 Add about 10 drops into a hot bath and stir with your hand to mix. Get in and to bring on a good sweat that cleanses your whole system. Soak in this bath once a month to draw out toxins. Always use 100% pure and high quality essential oils. If you are pregnant or lactating and would like to use essential oils for nail growth, please first consult your doctor as most essential oils are not safe to use for pregnancy/lactating women.